It’s Poetry Month, Humor Month and more! 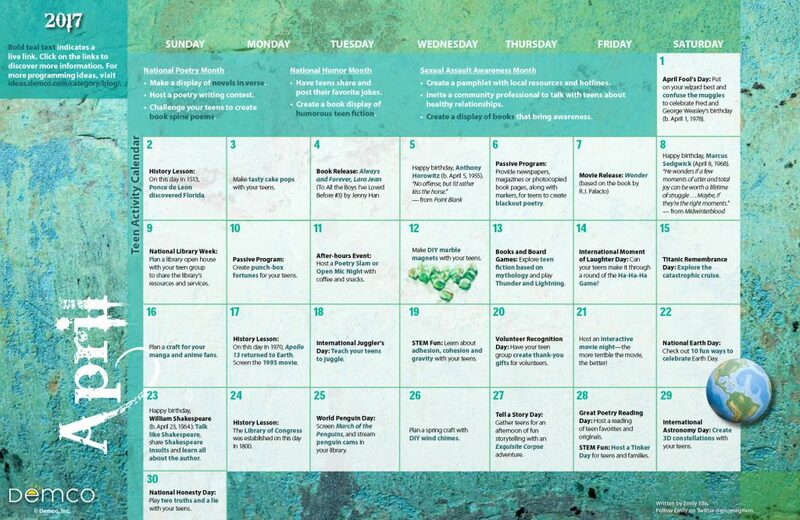 Engage your teens with rhyme and verse, make them laugh out loud, and show them some creative DIY projects with April’s Teen Activity Calendar. 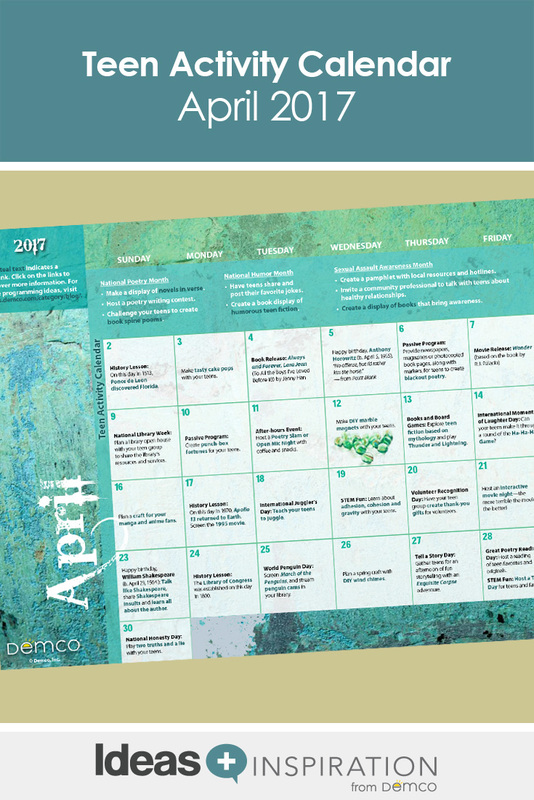 Download a printable 11″ x 17″ version of the April 2017 calendar. Download a printable 8 1/2″ x 11″ version of the April 2017 calendar. Hello, I love all the calendars you do. I have to plan 4-6 months out and was wondering if you could publish them a bit earlier so I can incorporate some of the ideas into my programming. If not I will still look for other ideas. Thanks for the compliment—I’m glad you find the calendars helpful! We did hear that readers needed a bit more time for planning, most commonly two months, so we’ve started publishing the calendars two months ahead of time. We’ll keep trying our best to get them out sooner to help you plan. We’re headed into our second year of our Teen Calendar too, so if you take a look back at last year’s calendars, you’ll find some good ideas activities to plan ahead for. Thanks for reading!